Websites differ as well as the approaches to their creation. The more full-featured website you need, the more effort you will have to invest into the process of its development. When it comes to the selection of the best web building tools to create a website from scratch, which will both come up to your needs and coding skills, web developers may initially choose between website builders, CMS and frameworks. Content Management Systems (CMS) are powerful web design programs, which come with the extensive selection of tools that cover the prevailing amount of web building skills. These systems are not quite difficult to use, but they require the knowledge of specific coding basics. Frameworks are much more complicated as compared to CMS. If you are not a web design pro, it will be quite difficult for you to get the essence of these platforms and learn how to use them properly. Website builders are simpler than CMS and frameworks, but they also ensure safe, easy and quick web building process that does not compromise with the result. What’s more, they usually come with multiple step-by-step guidelines and tutorials, which cover the most frequent questions of users. To define the major characteristics of each type of service, let’s find out the way of launching a website from scratch in each particular case. How to Create a Website with a Website Builder? Registration and Template Choice. As soon as you are done with the system selection, it is high time to sign up for it. You can generally do this in a few simple steps – either by filling out the registration form and using your email to confirm the action or by using the social network accounts. Both options are easy, understandable and quick, irrespective of the service you use. Right after you register with the website builder, most systems will offer you the template selection option. Browse the collection to get the template, which adheres to your website specialization or business specification most of all. Domain Name Selection. As a rule, website builders offer domain connection option right from the start. If you don’t have the one yet, you are welcome to buy it from the system. Whatever service you will go for, you will get a free third-level domain by default. Mind, however, that it works well for testing the major system features only. It doesn’t make any sense to publish your website with it, especially if you have long-lasting goals and serious aspirations. Design Customization. Suppose, you are done with the template and domain choice. What’s next? Your further step implies design customization. Modern website builders come with a pretty nice selection of web design tools you can use to give your project unique and attractive appeal. It is up to you to decide what fonts, backgrounds, layouts, icons and other design elements to select. Content Upload. Design customization is an important part of your website creation process, but the “content is certainly the King”. Take your time to create and upload the most suitable content for your website. These may be articles, images, videos, galleries and other elements you consider essential. Publication. Finally, your website is ready for publication. Go ahead and bring it online by activating the corresponding button. It takes a few seconds only to make your project accessible on the web. Now that you have an idea of what it takes to create a website with a website builder, it makes sense to proceed to the description of the most popular services you can use with this purpose. Wix is one of the most popular contemporary website builders. It’s ease of use, convenience and rich feature set make the service a decent choice for newbies and proficient web designers. Editing Options. Wix currently offers two website editing options you may choose from depending upon the available web design skills. Web design pros can use the standard Wix Editor, which allows customizing a website by using design customization tools available in the dashboard. If your web development skills, however, leave much to be desired, Wix offers its Artificial Design Intelligence tool to help you get started successfully. Wix ADI makes it possible to launch a website from scratch by using the information you provide. It takes around several hours to create, edit and publish your website with the service. App Market. The website builder comes with a set of widgets, integration of which can give your website the required functionality and visual appeal. Among the most popular widgets you can add to your project, it makes sense to mention Form Builder, Comments and Events Calendar, LiveChat, Wix Hotels, Wix Forum, Wix Restaurants and many more. eCommerce and Blogging. With Wix, you can create a full-featured blog and a web store. When it comes to the blogging option, you can add, edit and schedule posts, enable user comments, add a Featured posts section, create a custom feed, activate Facebook comments, add and update image galleries or videos etc. If you decide to launch an eCommerce website, you’ll be able to create and update product galleries, use professional web store management features, add multiple payment options, adjust tax and shipping details etc. SEO Wiz. With Wix SEO Wizard, you’ll develop a detailed plan of your website promotion, which will help you analyze and detect the available problems with your website SEO and boost your site positions in the search engine. 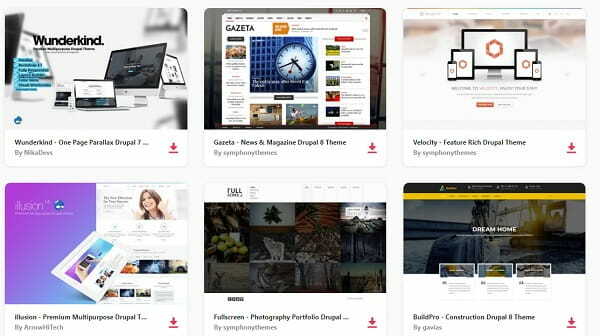 Wix offers one of the most impressive template galleries, which currently encompasses over 550 themes. All of them are of high quality and can be customized as you need based on your niche specialization and web design needs. The templates fall into dozens of categories to simplify the search. It is also possible to select a blank template to create your own design here. What’s important, you can’t change the template, while working on your website development without losing the submitted content. So, take your time to make the right choice from the very beginning. The Connect Domain Plan as well as a free one comes with an ad banner. This makes the plan not quite a successful choice. The rest of the plans don’t have this limitation and are suitable for professional use. Wix is a universal website builder. Whatever type of website you plan to create, the service will cope with the task pretty well. Your web design skills don’t matter a lot here – the system is easy-to-use, intuitive and understandable even for users with zero coding knowledge. Wix pricing policy is also affordable for users with diverse financial abilities and objectives. Wix Website Builder Review – read full Wix review for more details. Wix Website Examples – take a look at real Wix-powered websites. uKit has won recognition as the easiest small business website builder. The service is simple for beginners, while web design experts like it for its stunning functionality. Whatever web design goals you have, uKit will help you reach them with no special effort and time investment. Integration of External Services. uKit allows for effective integration of third-party services into your website. Some of them include MailChimp, AMO CRM, LiveChat etc.). They make your website more functional and visually appealing, driving user attention. eCommerce. You can choose between two eCommerce web building options: an Ecwid plugin and an eCommerce widget. Both options have their advantages, which make it possible to create full-featured online stores almost in no time. SSL Security. Free connection of the SSL Certificate helps protect your website content and personal information from unauthorized access and confidentiality violation. Useful Widgets. By integrating uKit widgets, you can notably enhance your website performance. These elements are easy to set up and update. Some of them include Online Calculator (uCalc), Timeline and Stages, Slider, Gallery, Video, SoundCloud etc. Mobile View Set Up. uKit has now made it possible to manually set up the mobile view of your website for smartphones and tablets. It is you, who now defines the way your website will adapt to these mobile devices. It is possible to hide the unnecessary blocks, set up the number of widget columns, change the background of blocks and do other actions to reach the best mobile view. The website builder encompasses hundreds of industry-related themes, which are responsive by default. If you still realize that you’ve made the wrong choice, you can change it on the go on any stage of the development process. The template gallery consists of several categories based on the specialization of themes. These include Games, Automotive, IT Services, Cafes and Restaurants, Wedding, Education, Finance and Insurance, Travel, Photography and more. uKit prices are more than affordable for all users, not to mention business owners. What you will get is premium tech support and a set of features that will cover almost any web building needs. uKit is rightfully considered the easiest and the most affordable website builder, focused on the creation of small business websites. 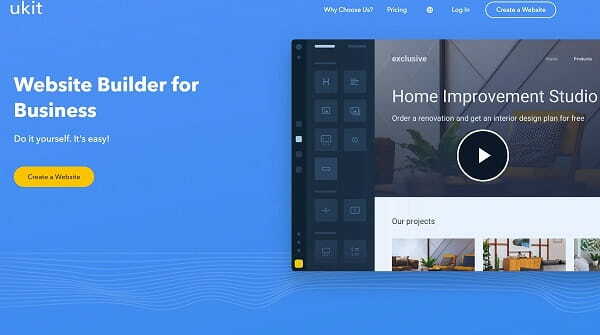 The website builder has an intuitive dashboard, which makes it possible to construct an easy yet functional website with no hassle and waste of time. uKit offers a broad spectrum of design customization tools, widgets, external integration options, responsive templates and affordable pricing policy. The service works great for professionals and those users, whose web design experience is not quite rich. uKit Website Builder Review – Discover uKit in this fresh review. uKit Website Examples – take a look at real uKit-powered websites. Weebly is a universal cloud website builder, which makes it possible to launch multiple types of visually-appealing and functional websites. These are business websites, portfolios, landing pages, online stores, blogs etc. The service has a drag-and-drop editor, which allows building websites without a line of code. Powerful eCommerce Options. The website builder comes with an integrated shopping cart, safe payment options, product preview and update options, search filter section, multiple product settings, Android and iPhone apps to manage the web store any time of the day, CSV file import/export features and other powerful eCommerce options. Blogging. What you can do here is to add and schedule the posts, select social media sharing options, choose various commenting systems, fill your blog with content etc. Weebly has a collection of free blog templates that will boost the design of your website. Promote Tool. It can automatically generate messages and send newsletters to the members of promo campaigns, create different types of emails and marketing lists, view marketing statistics etc. AppCenter. Weebly’s App Center is similar to Wix App Market. This is the place, where you can find and select applications to create the engaging content for your website. Among the apps you can find here, PinPoll, LiveChat, Call-Out-Box etc. should be the first to mention. Weebly cannot boast such a powerful template collection as those offered by Wix or uKiit. As of today, the number of templates constitutes around 60 themes, but the system developers update it when possible. All the templates are responsive. You can either select and customize one of the available ready-made templates, use HTML/CSS editor to boost your template design or integrate a theme developed by the third-party designers. Weebly has an integrated mobile editor, which allows editing the mobile view of your website in a visual mode by dragging and dropping the elements. All the changes you make automatically synchronize between mobile and desktop versions of your website. You can launch different types of projects with Weebly, ranging from simple landing pages or portfolios and up to eCommerce websites. It is full-packed with features that make the system a worthy investment for beginners and professionals. Weebly somewhat lacks templates, but the quality of existing themes adheres to the prevailing amount of web building needs of all user categories. 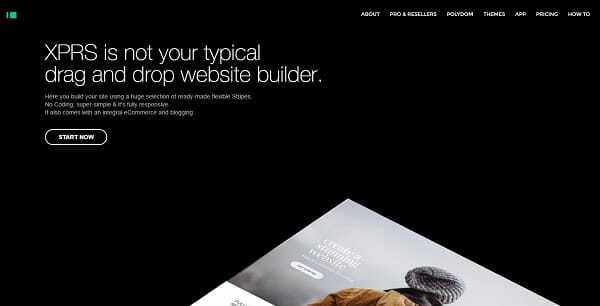 Weebly Website Builder Review – Discover Weebly in this fresh review. 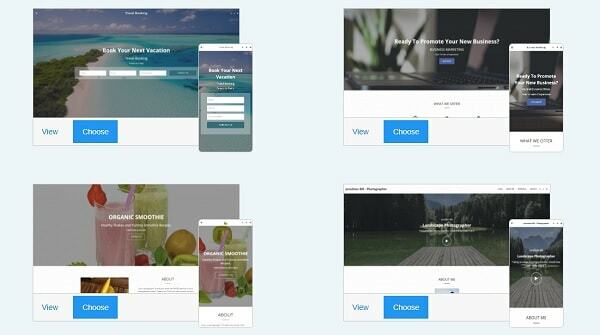 Weebly Website Examples – take a look at real Weebly-powered websites. IM Creator is a website builder that deserves special attention due to its pricing policy and niche specialization. The thing is that the service has a strong focus on building websites for entrepreneurs willing to establish powerful web presence for their businesses. It also has nice offers for creatives, who have an idea to launch portfolio websites and landing pages for better presentation of their talent. Stripe-Based Structure. One of the major distinctions of IM Creator from other website builders is its Stripe-based structure. To launch a website with the service, you’ll have to choose between multiple content Stripes and arrange them on a web page as you need. These blocks harmoniously combine with each other and you can change their positions on a page as many times as you need. eCommerce and Blogging Engines. IM Creator allows creating decent web stores and blogs. There are multiple templates you may browse for this purpose. If you wish, you can also select and integrate a corresponding eCommerce Stripe to launch a web store. Even though, the website structure is mainly formed by using the Stripes and Polydoms Technology, IM Creator still has a pretty impressive collection of responsive templates. These templates also fall into several thematic categories to make the selection process easier and more convenient. IM Creator is initially free for certain user categories. These include creatives, students, artists and non-profits, who don’t have any profit generation intentions. Entrepreneurs may give preference to the paid Premium Plan the system has, the cost of which constitutes $8/mo. IM Creator Review – Discover IM Creator in this fresh review. SITE123 adheres to the needs of newbies and professionals. With the website builder, you can solve a broad array of universal web building tasks. Whether you plan to create a business website, a portfolio, a landing page or a blog, SITE123 is a nice solution to cover these web design needs. Multilingual Support. You can create several language versions of your personal or business website. This contributes to the enhanced result, driving the attention of the foreign audience and potential partners. Free SSL/HTTPS. To make sure your newly launched website and confidential information is well protected from the unwanted access, you can connect SSL encryption protocol to it. This will ensure better security and your website protection absolutely for free. eCommerce and Blogging. The website builder can boast powerful eCommerce and blogging engines. SITE123 has special templates for each of these project types and design customization tools to give them the preferred appeal. Being a cloud website builder, SITE123 has a collection of pre-designed templates and layouts. They are free and responsive. The templates are comprised of modules users may choose from to develop web page designs. For the ease of search, the templates are grouped into categories based on their topics. In case you cannot find the template, which comes up to your web design requirements, you can get a blank canvas and create a website from scratch. Mind that SITE123 has different pricing options for diverse locations. So, take your time to find out the exact cost, if you decide to build a website with the system. SITE123 Review – Discover SITE123 in our updated review. Content Management Systems (CMS) generally provide wide design customization options and tools you can use to give your website one-of-a-kind design. They works great for some types of custom-made websites as well as for projects, which are meant for further monetization. The only problem is that exploration and use of such systems may be a problem for users, who lack coding basics. Hosting Choice and Domain Purchase. To set up your website, you initially have to choose hosting and register a domain name for it. Unlike website builders, not all CMS offer these privileges right from the start. Explore the available options, choose reliable and affordable hosting provider and register your domain name with it or with any other platform of your choice. CMS Installation. In most cases, the installation process doesn’t take much time. Just follow the instructions the system offers to complete the steps successfully and copy the files to the hosting selected. Plugin Installation. Most CMS also require the installation of plugins, which add functionality to the websites you create. Sometimes, though, it is possible to go without them, but your project will certainly lack the desired performance. Plugins may be free and paid and all of them are easily available on the web. Make sure to select and install plugins from reliable sources not to put your website at risk. Design Set Up. Now, you can proceed to website design customization. Whatever system you will choose, it will offer a template collection, but get ready to the fact that it won’t be rich. So, take your time to browse the templates either from the brand store of the system (if any) or directly on the web, which offers myriads of themes developed by the community users. Mind that quality templates are generally paid, while free ones may come with malware, which can do harm to the entire project. Select the templates that come up to the niche you specialize in, explore the design customization options (choose the template structure, fonts, blocks, styles, layouts etc. ), create menu structure, add and edit the pages and logo. All these steps will give your website personalized design. Content Upload. Are you done with your website design customization? The next (and one of the most important steps) is content upload. The prevailing amount of templates come with industry-specific pre-designed content (images, text, website sections etc.). Devote the required amount of time to uploading your own content and replacing stock photos, videos and texts with content that adheres to your niche. If you plan to add a blog, prepare and paste the posts to it. Publication and Further SEO Optimization. Finally, your website is ready for publication! Connect analytics to keep track of your project promotion. Fill out the meta tags and do other steps to boost your website SEO optimization. This will help bring your website to the top positions in the search engines, generating traffic and profit. Publish your website and enjoy the result! This is the general scheme of building a website with CMS. Each system has its own characteristics and steps needed to launch a decent project. CMS can be universal and specialized, paid and free, out-of-the-box and manually created. Let’s have a look at the most popular and professional CMS now, namely WordPress, Joomla and Drupal. CMS vs Website Builder – Head-to-Head comparison. 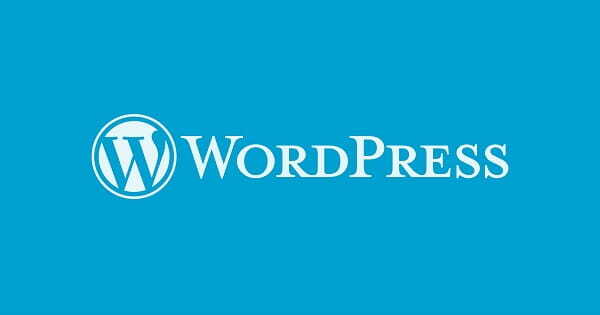 WordPress is currently the most popular CMS and there are millions of quality websites built with the platform already. It’s no wonder as the system is flexible, convenient and quite understandable. WordPress user community is impressive and there are multiple tutorials that provide enough information on how to use the service effectively. Unlimited Design Customization Options. With WordPress, design customization options become almost unlimited. The system provides multiple tools and features to give your website unique look. By installing plugins, for example, you can add those functions the system lacks by default. Blogging Functionality. WordPress is an ideal platform for blogging. Actually, the CMS was initially created with blog development focus in mind. As a result, blogging capabilities and tools are on the top notch level here. You can set up email subscription and RSS feeds, enable commenting option, schedule post adding here etc. Social Media Integration. Seamless social media integration is another WordPress highlight. There is no need to login to the most popular social networks separately as all of them are integrated here by default to let your community know about recent updates. The assortment of WordPress themes and plugins on the web is stunning. They are free and paid and it’s up to you to decide, which one of them will work best for your individual needs. Just keep in mind that using free themes is risky because of the increased scam threats. The use of WordPress is free for all the system users. However, the feature set and the tools the service offers by default is somewhat limited and doesn’t let you get the most out of the web building experience. To design a high quality professional website, you’ll have to purchase extra templates and plugins. You will also not go without purchasing hosting and domain name, if you wish to make your website accessible on the web. Cost of a website built with WordPress – a detailed research about the price of building a website from scratch using WordPress CMS. When it comes to discussing CMS, WordPress is one of the systems that is the first to come to mind. The platform is convenient and comparatively simple, but it still requires a certain degree of programming knowledge and web development experience. The system is free, but you’ll have to invest into getting hosting, domain name, plugins and templates. However, the result is worth the investment. Joomla is a free open-source CMS, which allows creating and managing simple and complicated websites in an easy and secure way. The system is somewhat more complicated than WordPress. Among the projects you can build with the service, business websites, landing pages and blogs are the first to mention. The service works great for small and medium businesses, large enterprises and freelancers, who are involved in the development of client projects. Versatile Management Options. 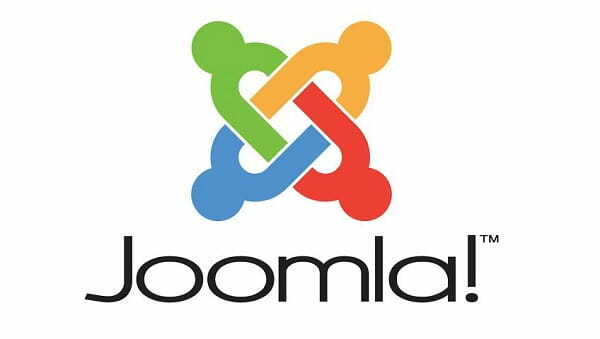 With Joomla, it is you, who has control over user, banner and content management of your websites. Whether you are going to add or update website content, keep track of users visiting the website or perform any other actions, Joomla will allow you doing that with ease. Language Manager. If you have an intention to launch a multilingual website, the CMS will provide you with this opportunity. Its language manager allows making the required settings, creating as many language versions of your website as you need. Plugin Integration. To enhance the performance of your Joomla-based website, you can select and integrate versaille system plugins. The web abounds in them and new plugins are regularly added. However, make sure you download them from trusted sources to avoid malware. Integration with External Systems and Apps. Joomla can boast integration with the following third-party services: Zendesk, LiveChat, ActiveCampaign,Bitium, Campaign Monitor, Constant Contact, LiveAgent, Post-Affiliate Pro, ZohoSalesIQ, Kayako, Vision Helpdesk, Bookeo Appointments and more. Joomla cannot boast an extensive collection of integrated templates. At the same time, there are thousands of them available online. They are developed by the community members as well as by third-party web studios or designers specifically for different Joomla versions. The templates can be available for free and for extra cost. Mind that it’s not always safe to download free templates (as well as plugins) because of the potential malicious codes they may come with. Try to buy templates developed by trusted designers to feel on the safe side. Joomla is an open-source Content Management System. This means that you can download and use it at no cost, getting the most out of free features and tools. The latter, however, often come with limited functionality. This is a problem, when you intend to launch a professional website. The way out of the situation is to buy the templates and plugins, the quality and safety of which will be on the top notch level. You will also have to invest into hosting and domain name. Joomla is a bit more complicated than WordPress, but it also makes it possible to create and manage professional websites. The system mainly focuses on the development of business projects. It is free, but you’ll need to invest into hosting, domain name, themes and plugins to design a website that will adhere to your needs. Drupal is the open-source CMS, which works great for the development of small-to-large business websites. Freelancers and web design studios can also make use of the system, when working on client projects. Advanced Menu and User Management. Extensive user management options allow for secure and effective uploading and editing of different content types, including texts, polls, blog posts, videos, image galleries etc. Graphics and Page Content Management. To give your websites unique design, the system makes it possible to effectively manage the uploaded graphics and page content. Plugin Integration. The CMS lacks functional plugins of its own and, thus, it allows integrating those of your own. Multiple plugins are available online, each of which adds a certain functional feature to your newly built website. The system also lets you select and add many modules, displays and designs. Integration with Third-Party Apps and Systems. Drupal integrates with multiple external services, namely Bitium, Zendesk, Zapier, Zapbook, MailChimp, Facebook, LinkedIn, Google Analytics, HubSpot, Magento, Salesforce, iPaper, Twitter, ShoutEm and more. Being the CMS, Drupal doesn’t have many built-in templates offered by default. If you really wish to launch a personalized website, you won’t go without selecting and integrating themes from the Internet. They allow changing the look and feel of your Drupal-based website. 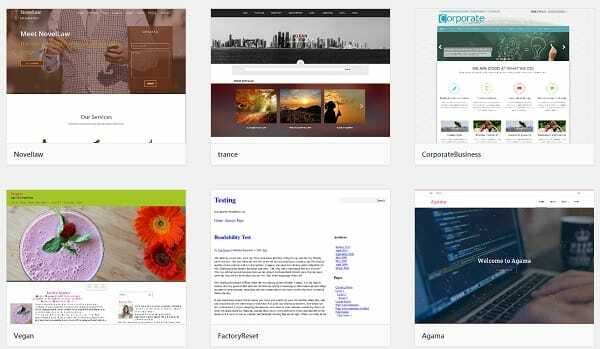 These templates are designed by community developers, web studios and third-party users. They are free and paid. Keep in mind that using free themes is more risky as they may lack optimized functionality or may even come with malicious codes. Just like many other CMS, Drupal is a free open-source software. You don’t have to pay anything to use the system. Instead, you will have to pay money to choose a domain name for your website and a reliable hosting provider. Quality and secure templates and plugins also require extra financial investment, but this is quite ok, if you aim at reaching decent result. When it comes to reliability, scalability, security, manageability, professionalism and availability of resources, Drupal comes into play. Mind, however, that the CMS is more complicated than WordPress and Joomla, but it’s also chock-full of powerful features and design customization tools. How to Create a Website with a Framework? Framework Installation and Documentation Learning. Prior to starting building your website with any of the frameworks, you have to choose and install the one that comes up to your web building needs most of all. As far as each system of this type comes with its own libraries, apps, modules etc., it also makes sense to learn the documents first to know what to expect from the software and how to make use of its advantages. Hosting Choice and Domain Name Purchase. Just like CMS, frameworks make it possible to create and manage websites, but they don’t provide integrated hosting and domain options. So, get ready to spend some time and money to find a credible hosting provider and purchase a worthy domain name. Plugin or Widget Installation. Frameworks usually come with certain feature sets, which are not always enough to build a decent professional website. To boost its functionality, you’ll have to buy and install extra plugins and widgets based on the web design objectives you have. You’ll need to define what exactly you expect from your website and what features you’d like it to have. Website Design Creation. The next important stage of your website creation is design customization. You’ll also have to choose frontend or backend frameworks to personalize website design and technical aspects of its performance, tools to upload modules, packages management, collection and compilation tools, service testing and code editing options etc. Content Uploading. As soon as your website design, structure and layout are ready, take your time to upload the content. These include articles, blog posts, image galleries, videos, polls, user comments and testimonials, contacts and other elements you’d like to see on your website. Website Publication and SEO. The final stage of website creation is its publication and further SEO optimization. Fill out the required meta tags, analyze your current website analytics and positions and watch them as your project develops. Each framework comes with its own set of pros, cons and special features that may differ from one software to another. This is a standard scheme of designing a website with a framework. It is high time to review the most popular software types now. Ruby on Rails is the popular framework, which comes with an extensive set of features needed to launch database-backend web apps and websites based on the Model-View-Controller pattern. The framework is closely associated with the development of startup projects and powerful business websites. Ruby on Rails comes with lots of pre-developed plugins and modules, which contribute to time economy and ensure perfect result. It is consistent, due to which the developers just need to stick to the standard programming conventions and file storage to design a well-structured and readable project. Being an open-source framework offered under the MIT license, Ruby on Rails is free. To build a website from scratch with it, however, you will need to invest money and effort. What’s important, the core of the platform has an integrated Minitest tool. This is a test suite, which allows testing websites prior to publishing them to make them bug-free (this includes test benchmarking, expectation syntax, mocking etc.). The framework is quite secure and has a powerful community, organizing meetups, conferences and tutorials for the beginners. Django is a framework written on the Python programming language. This is the open source programming language, the use of which will help bring a complicated and full-featured project into reality for those, who are the experts in coding. Django was initially developed for the design of complicated and full-scale projects. It provides clear and quality code writing and editing options. Proficient web developers know how to develop Django-based projects, even if they did not start working on it initially. They can grasp the website structure in no time to use the tools that will help develop the idea in the shortest time possible. As of today, Django is one of the best solutions for the development of MVP (minimum viable product) design. This is because it comes with powerful out-of-the-box features and tools needed to create additional product parameters. What’s more, Django offers the top notch safety level for your project. It can also integrate with lots of modern external apps (GitHub, social networks etc. ), which speeds up the web development process and triggers decent result. The framework is an ideal way to write REST APIs, which makes it possible to connect the platform with multiple payment apps. It is scalable enough to be hosted on Amazon, Digitalocean, Heroku and other powerful platforms. 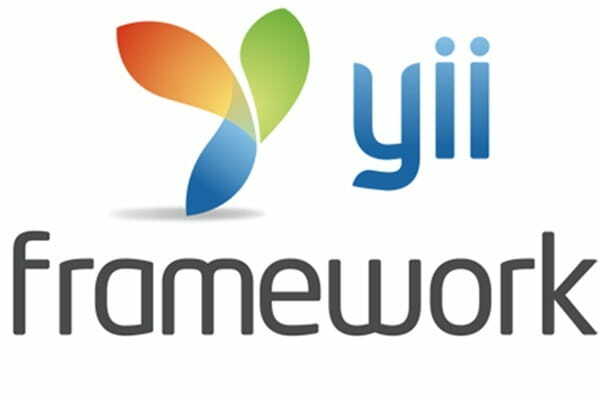 Yii is a free open source framework used for the development of large-scale and full-featured websites. It works great for the creation of high traffic websites and applications, such as forums, portals, social media websites and more. The major Yii features currently include MVC, testing, DAO/ActiveRecord, authentication, caching, scaffolding role-based access control etc. The framework is fast, lightweight and offers advanced caching support. What’s crucial, Yii ensures the enhanced security of your website due to the following measures: cross-site request forgery prevention, cross-site scripting and cookie attack prevention, server and client side validation, integrated authentication support etc. Perfect caching system is another highlight of Yii framework. It supports XCache, memcache, DB based page and segment cache as well as APC. Editing and customizing Yii-based apps is not a problem even to those users, who have just started exploring the system. This is due to the comparatively simple structure of Yii codes. How to Choose the Service to Build a Website from Scratch? What website type exactly do you need? Does it have to be an online store, a blog or, maybe, a portfolio website? The thing is that most website builders are meant to create one or two specific types of websites and they come with a certain set of functions to cope with these tasks. Thus, you need to choose the service based on the type of your future project. You don’t even have to think about the functionality aspect as all the top niche systems will provide you with the required tools. They know what you need, even if you are not sure about that. Do you have enough content to fill your website? Have you made appealing photos, videos, text materials or know how to do that? As soon as you are done with the preparation stage, your major task will become to fill your website with content. The higher its quality is – the better feedback you’ll avail from your website. Don’t think about your content for a long time, because you’ll need it pretty soon. Now that you have the idea of the essence and major parameters of the available web building solutions, it is high time to provide a brief summary of their pros and cons. This will help you compare the platforms and draw the conclusion based on your web design requirements and needs. Website builders have won user recognition as simple, affordable and flexible systems. You can use them to develop any projects, even if you are not a web design professional. Integrated hosting and domain name options. Some websites built with these systems cannot be transferred to other platforms. CMS are more complicated than website builders. Their use implies the awareness of coding basics and web design expertise. At the same time, these systems make it possible to launch websites with personalized design and decent performance. Extensive community of web developers. Frameworks are the most complicated web building tools. Ordinary users won’t be able to use them for web building purposes as they certainly require strong programming knowledge. Websites built with frameworks are the most professional and quality. These systems work great for the development of large-scale and complicated projects. Websites launched with frameworks work quickly and can withstand serious loads. More time and effort needed to design a decent website. We’ve tried to answer the most important questions and dispel the obvious doubts related to the process of creating your first website from scratch. You can find out detailed information regarding the features of separate website builders from our multiple reviews to decide what web building tool exactly to go for. CMS and frameworks are certainly worth the attention, but only, when it comes to the development of large-scale projects by professional web designers or by people, who have the firsthand knowledge of the web creation process. Using website builders will be the most reasonable solution from all the points of view. These systems are created with the needs of ordinary users and their web design abilities in mind. They are intuitive and stunningly simple. The cost of the project will also be a pleasant surprise for you. So, leave your doubts behind and test the services from the top list we’ve reviewed above. Go ahead to make the right choice!